288. 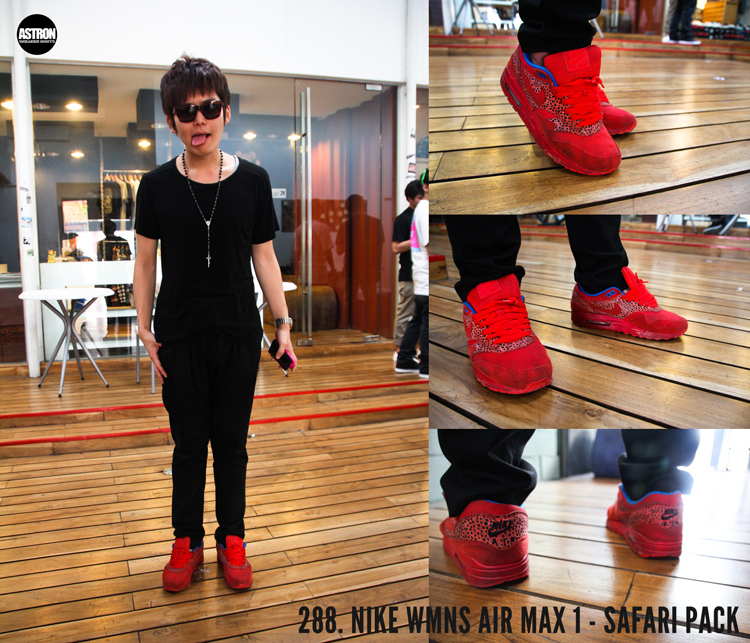 Nike WMNS Air Max 1 - Safari Pack "Chilling Red"
justin bieber yan, boytibs. bakit men ang label? He's technically a man, but yeah.. the shoes are for women, so I added women in the labels. Women wearing men's shoes are okay. This though? SMH. OMG MArvin why do you like pretty boys and group deville? Of all the 290 features I took, you chose to look at this one and groupe de ville's, look who's talking. man if you guys didnt know these are womens shoes there wouldnt be any hating.